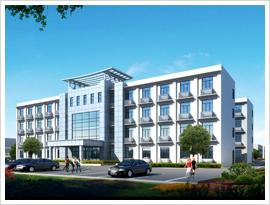 Suzhou Double Elephant Optical Material Co., Ltd. located on Donghai Road of Zhangjiagang free trade zone in Jiangsu province was founded in 2012 with registered capital 300 million RMB. The total investment is 1.19 billion with annual capacity of 80000 tons of polymethylmethacrylate(PMMA). We engage in producing high-performance optical PMMA which is widely used in LCD light guiding plate, LED lighting equipment, optical fiber, aircraft cockpit glass, bulletproof glass, automotive rear light etc. The market demand of the products is huge and grows rapidly. With the accomplishment and operation of the PMMA project, we will be the first domestic enterprise that produces optical PMMA on a large scale. It will directly break the monopoly of the foreign enterprise in the field of the optical PMMA so as to reduce the import dependence to make contributions to the breakthrough and development for the field of the optical PMMA.